Dr. Ashraf, board-certified ophthalmologist and LASIK surgeon in Atlanta, recently published that the increasing occurrence of Myopia in Asia, which as a result is producing harmful effects such as eye disease and blindness, correlates with schooling. Dr. Ashraf recently published content about the serious consequences of Myopia on eye health, specifically in Asia where occurrences of Myopia are skyrocketing. Myopia is a term for nearsightedness, which is when far objects cannot be seen as well as objects that are close to the eyes. Dr. Ashraf’s research delineates that between 80%-90% of children in major East Asian countries, such as China, Taiwan, Japan, Singapore and South Korea, experience this condition. “People with elevated Myopia can be at risk for various problems, the main ones being impaired vision and blindness,” says Dr. Ashraf. Professor Ian Morgan stated in The Lancet Series, a premiere general medical journal, that based on recent findings, this incredibly high occurrence of Myopia is correlated with augmented schooling, which signifies that the absence of daylight exposure may result in a huge impact on this issue. In the past, Myopia was considered to be a genetic condition. However, more recent studies reveal that environmental factors play a part as well. Many findings have shown a link between schooling and Myopia, implying that studying and reading close-up could be causes of Myopia. Even more recent epidemiological surveys indicate that spending time outside may protect against developing Myopia. Dr. Ashraf has performed laser eye surgery for many of his patients diagnosed with Myopia. While laser eye surgery is a great alternative for many people, certain people may not be good candidates for the procedure. If that is the case, Dr. Ashraf will work extensively with these clients to help meet their eye-related needs. 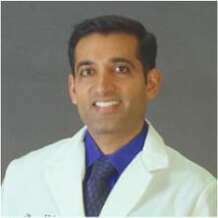 Dr. Ashraf is a board-certified ophthalmologist who specializes in Atlanta laser eye surgery. He has performed more than 35,000 LASIK procedures and works out of his facilities in Atlanta and Dubai, making him one of the most experienced LASIK surgeons worldwide. If you’re interested in laser eye surgery or wish to speak to an experienced ophthalmologist, contact the Atlanta Vision Institute at 770-622-2488 or visit the website at http://www.atlanta2020.com.